When you think of compact action cameras that can be used virtually anywhere, it’s the GoPro brand that usually springs to mind. Synonymous with epic Instagram posts and daredevil, adrenaline-fueled videos that fly around social media, you could almost believe that without a GoPro, you’re going nowhere. GoPro’s best offering at the moment is the GoPro Hero 7 Black, which retails at a cool $399. It offers 4K resolution at 60 FPS, a 12MP camera, is waterproof up to 33 feet, and has a whole host of other features. The truth is, there are many great alternatives out there if you’re prepared to look beyond the brand name. Compact action cameras with tons of features and much more affordable price tags are just waiting to be tried and tested by adventurers like you. They may not all be able to stand against the Hero 7 in terms of features, but for most casual travelers, the differences between them will be negligible — but the price difference won’t be! Almost as soon as you start shopping around, you’ll be inundated by jargon, like the term “video resolution.” In this instance, we’re not talking about the promises you make to yourself on New Year’s Eve, but the number of pixels on the display. The higher the resolution, the more detailed and clear the image will be. A resolution of 1080p used to be the standard resolution for most cameras and devices, but if you’re considering an action camera, you’ll want to look for higher numbers. The best, and what you probably want, is a camera that films in 4K. The other set of numbers you need to consider is the frame rate. This is the frequency at which the consecutive image (frames) are being displayed and is measured in frames per second or FPS. The standard rate used is normally 30 FPS, which gives you smooth transitions while still being kind to your storage space. Other common options are 60, 120, and 240 FPS. In general, 30-60 FPS will suit most users. If you want to film in high definition or slow motion, you’ll want a camera that has more or higher FPS. If you’re looking to buy an action camera, chances are you won’t be using it while you’re sitting still! Active sports usually involve the great outdoors in all guises, meaning that you’ll need a camera that can cope with water, weather, and a host of other environmental factors. Weatherproof camera housings should be resilient enough to protect your camera from a heavy shower, but if you’re planning on actually taking pictures underwater, you must look for a camera that is waterproof, usually by way of a water-resistant case. Most action cams will be waterproof to around 3 meters. If you’re planning on filming extreme sports footage, you should probably look for a camera that offers shock proofing to protect it from drops as well as freeze-proofing to protect your camera from the ill-effects of extreme temperatures. Because these little cameras are designed to be worked hard, they usually only offer between one to three hours of continuous use before they need to be charged again. If you shoot in high-resolution or are continually using your Wi-Fi connection, you may find the battery drains even quicker. The key to taking an action camera out with you for the day is to make sure it’s fully charged before you leave. And, use it only for the important shots. Your phone will be good enough for selfies on the bus. You may also want to consider buying extra batteries for your new camera. Being able to see what your camera sees is vital to getting the best shot. Long gone are the days of having to squint through the viewfinder — today it’s all about a color LCD screen that looks like miniature TV, right in front of your eyes. Many action cameras offer touchscreens that allow you to change your field of view (FOV), add filters, edit footage, and even upload to the internet just by running through an easy to use menu. Wi-Fi connectivity means that you can use your camera to upload pictures automatically to your cell phone, tablet, or social media platform. Most action cameras with Wi-Fi will also need you to install an app on your phone or tablet in the first place, then you are free to point, shoot, and post as often as you want to. Field of View is the physical area that your camera can capture at any given moment. Most action cameras offer a far wider FOV than the naked eye can take in and interpret, which is why you often spot things on a photograph that you missed in real life. You can choose between wide, medium, and narrow for your images, but keep in mind that while wide angled lenses can offer epic looking images, they can sometimes look distorted too. With all those extreme sports you’ll be undertaking, you won’t have time to worry about keeping the camera steady. That’s where image stabilization comes in. The ability to keep photos shake free and mostly never blurry is a common feature on most small cameras — regardless of price. Decent video stabilization is a little more tricky to deal with. A good quality camera will offer you gyro image stabilization that works electronically through software or optical image stabilization that physically moves the lens to counteract any motion. Many fans of the active lifestyle like to use their action cams while they’re (literally) on the move. That’s why accessories like helmet mounts, handlebar mounts, and even wrist mounts are so popular. With technology that’s lightweight enough to be taken anywhere with you, yet clever enough to capture every second of your journey, mounts are one of the most important accessories you’ll ever need. Straps and additional housings may also be useful, depending on what you’re hoping to shoot. Before you commit to a specific action camera, check that any accessories you may need in the future are not only affordable but are also easily available. 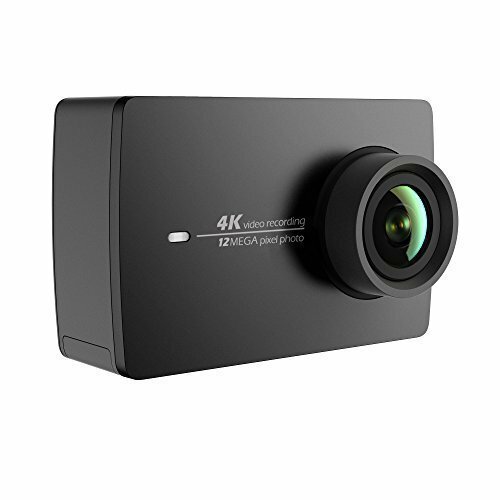 Offering fantastic image quality, the YI 4K Action and Sports Camera has plenty of the bells and whistles you would expect from much more expensive action cameras. Built with the new generation Ambarella A9SE75 chip, Sony IMX377 image sensor, and 7 layers of all glass lenses, it records 4K/30 FPS at 60mbps, which is 4x the quality of 1080p. The scratch and impact resistant Gorilla Glass 2.19 inch LCD touchscreen is highly responsive and has a 640 x 360 resolution for easy set-up. It’s perfect for previewing your shots. There’s also a voice command option that means you can simply tell the camera what you want it to do. Genius! 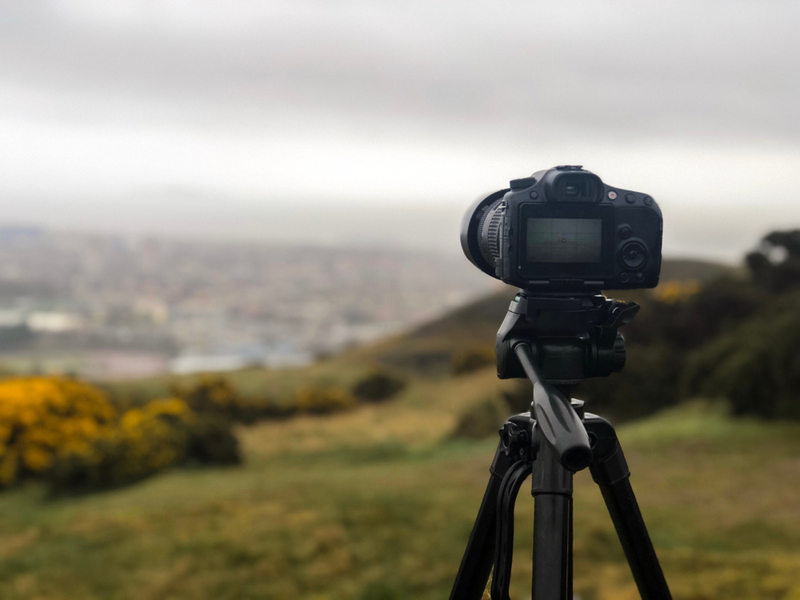 Small but perfectly formed, this clever little camera offers a wealth of features including multi-record and capture modes, including burst, slow-motion, and time-lapse functions. You can also get super creative with the flexible ISO/WB/Shutter/EV/Meter settings for 12MP raw files. 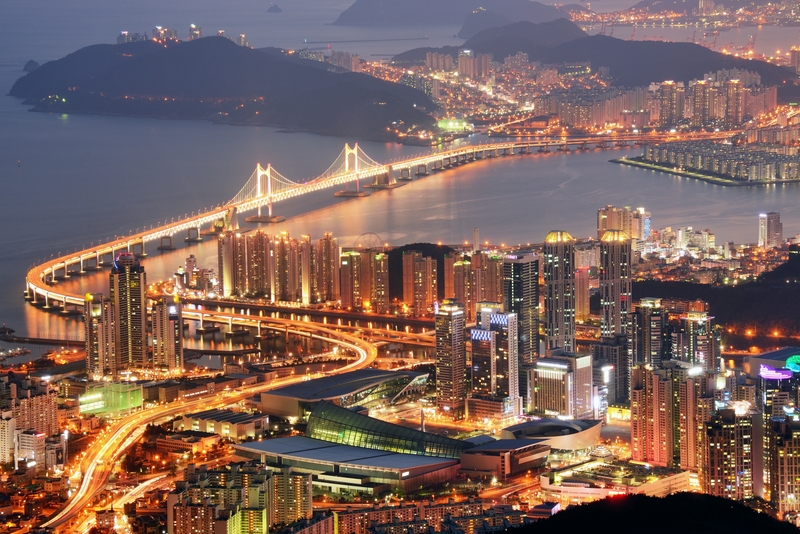 This helps you produce high-quality images, even in low-light conditions. The rechargeable 1200mAh high voltage, 4.4V lithium-ion battery allows for standby times of up to 8 hours, with an impressive 120 minutes of video on a single charge. 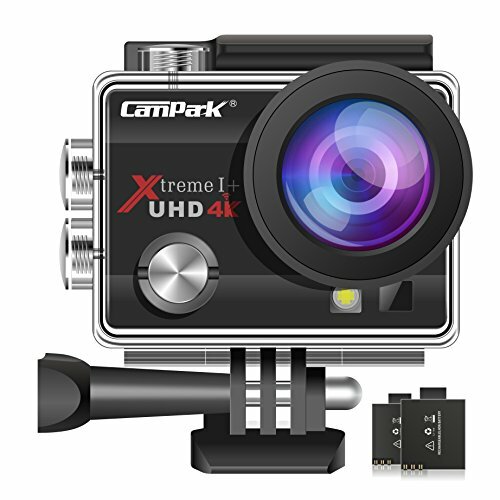 Film fantastic footage for longer with this impressive alternative to the GoPro. 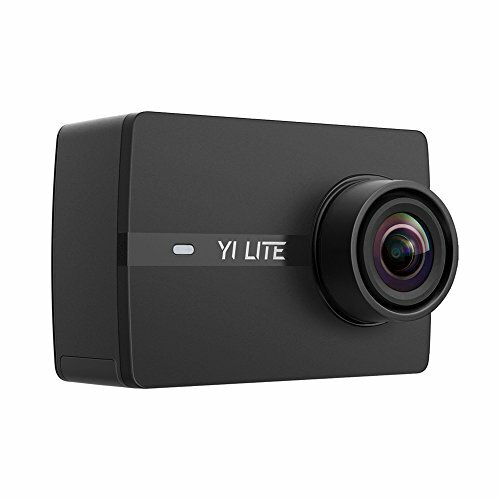 The impressive 2 inch LCD touchscreen on this YI Lite makes it a good option for those looking for a budget-friendly alternative to the GoPro. Intuitive UI allows you to navigate through the different modes and settings with ease and offers crystal clear playback and preview. The Corning Gorilla Glass is designed to keep the screen protected from scratches and daily impact, so you can go as ape as you want without damaging the screen. This little camera also benefits from an impressive 4K/20 FPS and a frame rate of up to 720p/120 FPS. There are 4 photo and 5 video modes including photo time lapse, photo burst, slow-motion, and 4K/30 FPS video time-lapse, meaning you can create awesome stills and video using just this tiny action camera. The 6-Layer Ultra-Wide 150 degree angle glass lens with an aperture of f2.8 can capture beautifully clear and bright images. Self-defined image quality (IQ) parameters will help you capture excellent images, even in low light and the SONY Exmor image sensor is there to help you capture high-quality, 16-megapixel images and record videos in up to 4K resolution. This compact action camera is waterproof up to 98 feet (30 meters) making it a fantastic option for anyone looking to capture excellent images while snorkeling, diving, surfing, or just splashing about in the water. The 170 degree, ultra wide-angle fisheye lens offers multiple adjustable angles (170, 140, 110, and 70 degrees) to help you capture every moment, without losing any of the detail. Combine that with the time lapse, loop recording, and slow motion functions and you’ll be making super cool videos in no time. The 3.7V 900mAh Lithium-ion battery can be recharged in around 2 to 3 hours and will give you up to 90 minutes of video fun at any one time. This little beauty will let you share your epic productions almost immediately, as the built-in Wi-Fi can connect and share your videos or photos straight to Facebook, Twitter, or Instagram. The HDMI output lets you watch the spoils of your hard work directly on your laptop or TV. Perfect for cycling, golfing, running, or even just out on the road, you can attach this action camera to anything, making it easy to capture epic, first-person images, and videos. This particular camera also comes with waterproof housing, two batteries, and several mounts. 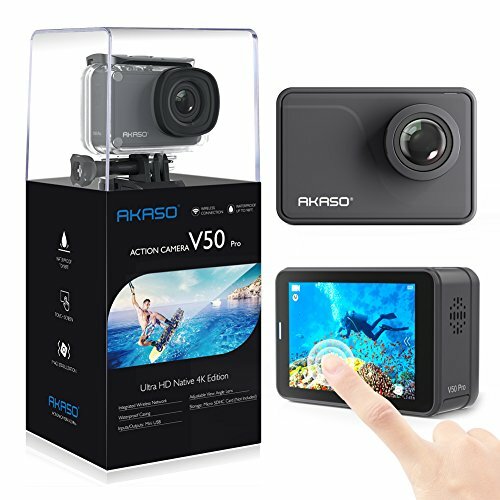 The AKASO V50 will let you capture images and video like a pro! 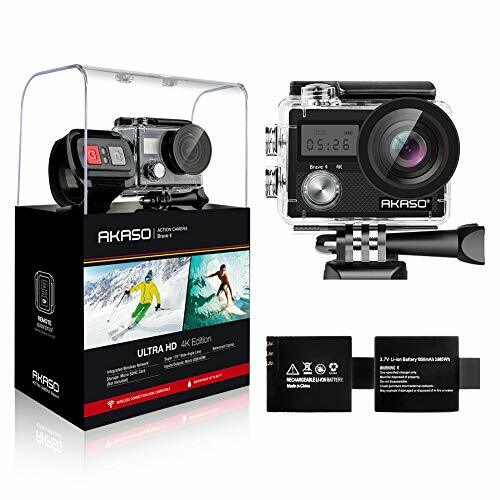 With the 4k/30 FPS allowing for excellent image quality, you’ll be able to capture every detail of your own intrepid outdoor adventures on this small, but impressive, action camera. The durable waterproof case means you can dive as deep as 30 meters and still capture awesome footage. The built-in Diving Mode will even filter the red light underwater, giving you realistically-colored images. The ability to choose your FOV will mean you never miss a shot as you can pick from Super Wide, Wide, Medium or Narrow to suit your needs. As impressive on dry land as it is in the water, the built-in 2 inch IPS touch screen makes setting up, previewing, and shooting with this little camera a piece of cake. The EIS system also delivers steady and smooth videos even when shooting fast-moving objects. You can capture the sound of the action too, as the camera supports the use of an external microphone, which you can purchase separately. You can also keep connected with this chat-happy kit. The built-in 2.4Ghz Wi-Fi can seamlessly connect to your smartphone, meaning you can share your pictures and videos the minute you shoot them. This upgraded version of the AKASO EK7000 Series is an impressive little camera that allows you to take incredible photos, as well as ultra HD videos, wherever your adventures take you. The view angle function with anti-shaking means you can adjust the view angle between 170, 140, 110, and 70 degrees, while the smart gyroscope will keep the image completely shake free. 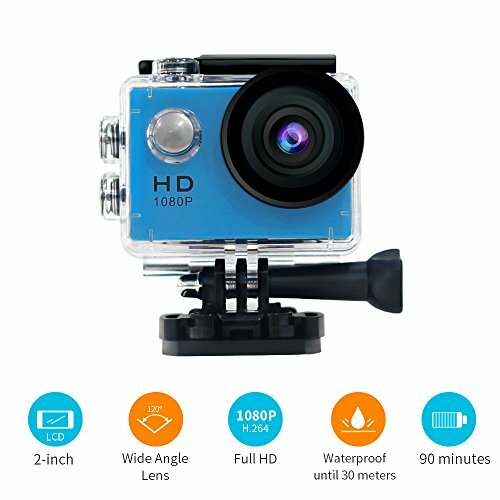 Take this camera into the big blue with you as the waterproof casing is good up to 98 feet deep, and the 2 inch IPS screen still allows you to preview the video on the action camera, wherever you are. 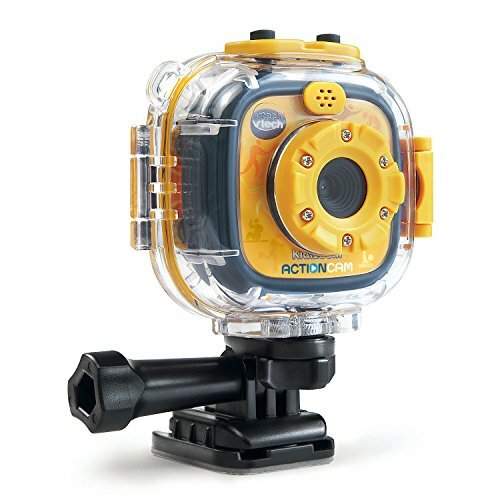 Perfect for sports lovers and nature fans alike, you can capture a whole world of action both in and out of the water. 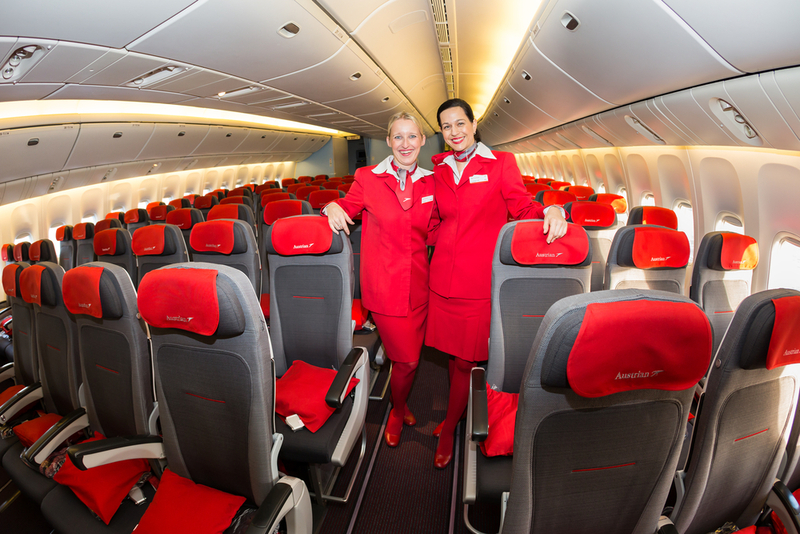 Can’t wait to share your snaps? No problem. The built-in Wi-Fi can connect to your cell phone or tablet using the AKASO DV app. Review, edit, and even share your videos online instantly. Alternatively, you can use the USB port to transfer files to your laptop or TV. A major selling point for this particular model are the free accessories that come with it. This underwater camera comes with 2 rechargeable 1050mAh batteries, a remote control wristband, and a 19 piece accessory kit. With its 1.75 inch waterproof display, hands-free voice control, and live streaming, those clever guys and gals at Garmin have got it just right with this little action and adventure camera. This waterproof HD action camera can keep up with you, wherever you may go. The voice control means you can tell the camera to “stop,” “start,” or “remember that” allowing you to bag and tag your images exactly as you want to. LCD display and microphone mean that you can see every second of your masterpiece, and you can even record your very own voice on the road. 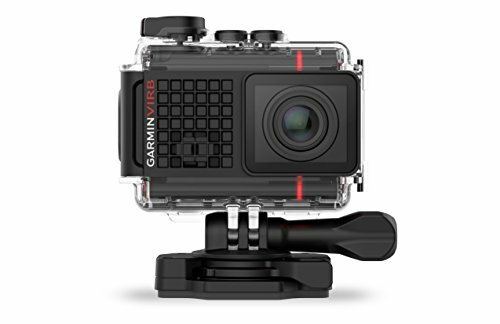 Compact and lightweight, the Garmin VIRB allows anyone to capture really spectacular footage, on a tiny device that’s primed for action photography. The unique G-Metrix technology, lets you overlay gauges and graphs with action data and the built-in stabilization makes for crisp, steady footage, whatever the terrain. Whether you’re taking to the slopes, the water, or the road, this is one of the best cameras available for those who really like to live a life full of adventure. The only downside to this action camera is the price point as it’s the same as the GoPro. You’re really paying for a brand name and quality here. While it’s a great action camera, if the goal is to save money, this probably isn’t the way to go. If you like to share the action as it happens, this budget-friendly kit is perfect for live streaming your adventures via Apple iOS. You can instantly stream your videos live on Facebook or YouTube and share your love of extreme sports with fellow enthusiasts using the EZ iCam App. If you’re planning on heading underwater, the camera housing is waterproof up to 100 feet, and the case is designed to withstand a breadth of extreme environments and conditions, both in and out of the water. Fully mountable, you can wear this camera on your helmet as you race around on your bike, catch the waves, or go deep water diving, among other adrenaline-fueled outdoor activities. The 2 inch LCD FHD display is just right for watching and reviewing your video or photo playback. The various different filters and settings are easy to operate and will make your footage look awesome. 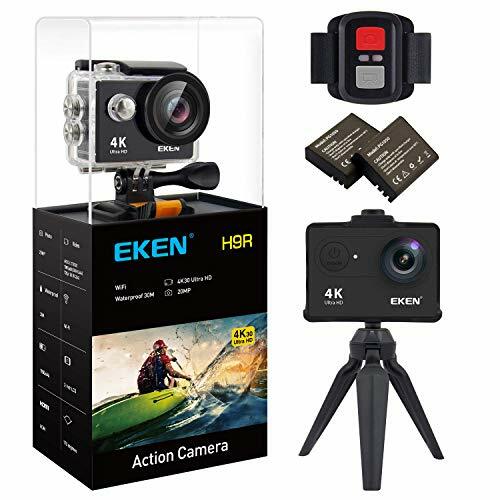 Offering a lot more for your buck than just the camera alone, the EKEN H9R comes complete with an action camera tripod, 2 rechargeable 1050mAh batteries, remote control, and a 14 piece action camera accessory kit. The EKEN H9R is an excellent choice for those who want to spend more money on making memories than the equipment they use to record them. 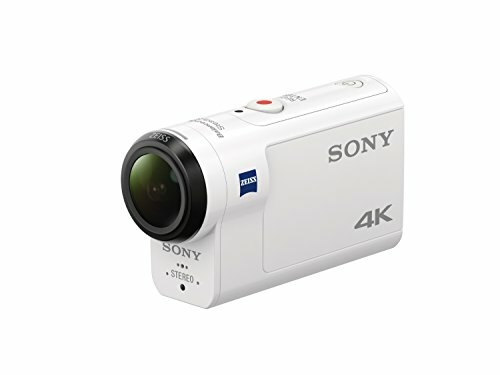 Offering mesmerizing, 4K images and steady, smooth video, you can take your POV action to new heights with this awesome underwater camcorder from tech giant Sony. Offering the high levels of kit you would expect, this little baby can take awesome video as far down as 197 feet, making it perfect for scuba divers and water babies of all abilities. The choice of viewing angles offer wide, medium, or narrow settings, and the 3x zoom offers great quality 12MP stills, and up to 10 FPS in burst mode, meaning you’ll never miss a second of underwater action. The Balanced Optical SteadyShot image stabilization system will prevent shakes and wobbles, no matter how excited you may be and the ZEISS Tessar offers protection form lens distortion. The camcorder itself is equipped with a back-illuminated Exmor R CMOS sensor and an acclaimed BIONZ X processor, ensuring that video quality remains consistently strong across all settings. Superior design makes for truly awesome video, and this little camcorder is durable enough to take virtually anywhere. On its own, the camera is splashproof and freezeproof, but stick it inside the supplied waterproof housing and it becomes dustproof, shockproof, and waterproof to 197 feet or 60 meters. Whatever you’re doing, this camera is hardy enough to capture it all beautifully. This fun and funky little number offers plenty to play with for a reasonable price. Kodak’s advanced CMOS sensor with 14 million image pixels gives you more speed, quality, and clarity than a traditional CCD sensor, meaning more fun footage for your buck. Waterproof up to 32 feet or 10 meters, shockproof to 6.5 feet or 2 meters, and remarkably also freezeproof to 14 F or -10 C, you can take this action cam anywhere. You’ll never miss a moment of the action either, as you can switch between 1080p full-HD video or full-res images in 10 FPS at the push of a button. You can also take high-speed movies in 120 FPS for time-lapse videos in slo-mo with more cool and fun detail. Compact enough to fit in your pocket, this durable and ultra versatile action cam can be easily mounted to your helmet, board, or handlebars, you can literally tell your story anywhere you go with built-in wireless connectivity. The electronic image stabilization (EIS) automatically adjusts to compensate for any unintentional camera movements to reduce blurry shots and video when the action gets too intense, and the 1.5 inch LCD screen allows you to play back the pictures and videos you take. 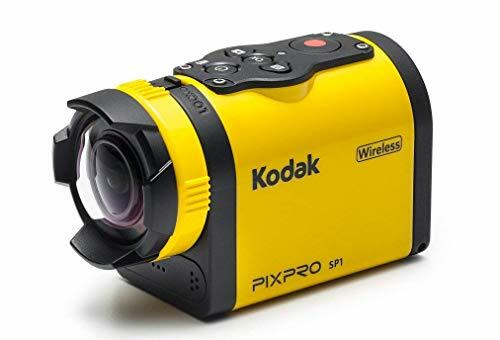 Not the cheapest of the bunch, but a good choice if you like the bright, bold retro feel of Kodak cameras, and very good for those who like to shoot on the move. It’s also worth noting that the extreme durability of this camera comes at the cost of it being heavier than most of its counterparts on this list. As the name behind many of the best-loved children’s technology toys on the market, VTECH has once again hit the right spot with this kiddie sized action cam. Durable, versatile, and waterproof, your little ones can take this anywhere with them on their next adventure. Complete with 2 separate mounts, you can attach this camera to your little one’s helmet, bikes, skateboards, and much more to capture awesome images on the go. It can also be used in the water and is waterproof up to 6 feet. The 1.4-inch color LCD screen means you and the kids can add fun photo effects, frames, and filters, as well as being able to download photos and videos using the micro USB cable included. Fitted with a rechargeable Lithium-ion Polymer battery, you and the kids will be able to enjoy continuous photo-taking and recording time of up to 2.5 hours. The Kidizoom action cam has a micro memory card slot that will record 240 minutes of 640 x 480 video or 278,400 photos with a 32GB micro memory card (sold separately). Perfect for children aged between 4 and 9 years, this is an excellent way to introduce your youngest adventurers to the joy of action photography. The Yuntab Sport Action Camera is a great value action camera that can travel anywhere with you. The water-resistant casing even allows you to film amazing underwater scenery, and the rugged waterproof housing is perfect for those who live life to the max on the surf, the slopes, or the streets. The 120-degree wide-angle lens offers a different perspective from regular action cams, and the wider images make for brighter, more immersive pictures that capture every detail. You can easily mount this little beauty to your helmet, bike handles, or wherever you need to get epic images and video on your travels. The A9 camera provides up to 5MP images and full HD 1080p at 30 FPS video, and the detachable battery is super easy to replace when you need to. With easy to use up and down buttons on the side of the camera, this cheap and cheerful action camera is a great way to experiment with photography on the go and under the water, without worrying about having to purchase expensive camera gear. If you want to try a bit of action photography without spending a fortune on an expensive kit, this little camera won’t last forever, but it will provide you with many hours of fun along the way. 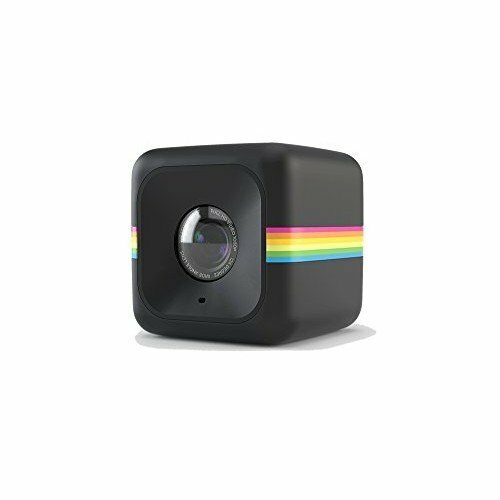 This cute and funky, teeny tiny cube from the cool kids at Kodak is an action camera with some unique qualities. Sadly discontinued by the manufacturer, you can still pick these up on Amazon, and enjoy snapping great pics with this cube of clever camera action. Supporting Micro SD cards up to 32 GB, you will be ready to capture all of your most exciting moments in full HD video or high-resolution images. Being weatherproof and shockproof, you can carry this with you everywhere to ensure you never miss a moment. The 124-degree wide-angle lens is designed to capture the big picture and will help to record all of your best memories. If you want to BE the action, the integrated mounting magnet will allow the camera to stick to any surface — no need to worry about bands, straps, or other attachments. The shockproof design captures stable video and its weatherproof sealing makes it perfect for wakeboarding, water skiing, and a ton of other outdoor activities. Accessories like the waterproof case are also shockproof and connect to all the Cube mounts, and there are a wealth of other fun, funky separate mount attachments that can fix your Cube to almost anything. If you can find one on Amazon, snap it up! Whether you drop a fortune on an investment action camera like a Sony or a GoPro or opt for something a little cheaper such as the YI or Akaso, these teeny tiny cameras really are fantastic fun. The final decisions will, of course, rest on the quality you’re looking for and the money you want to spend. If a GoPro floats your boat, then go for it — why not? But, if you want to try something different, there’s a wealth of choices to chose from that offer quality at an affordable price. Amar was born and raised in England, UK, embarked on an 11 country round the world gap year after graduation and then become well and truly hooked. The first gap year inspired a second which ended up being a 23 country down-the-world trip from Canada to Antarctica. Since then Amar has endeavoured to turn his gap year into a ‘gap life’ and has spent the last 8 years traveling the 7 continents.